Michel Lawrence has been a journalist with The Australian , a band manager for The Bushwackers, an advertising executive for J Walter Thompson, and a video director/writer. He has also had a parallel career in photography. His work is represented in various public and private collections, such as the National Portrait Gallery, Queensland Art Gallery and Melbourne’s Performing Arts Museum. ‘Michel is well known as a portrait photographer. I have known him for many years,’ says artist Graeme Drendel. ‘Over lunch recently we got talking about our mutual interest in portraiture and I suggested he sit for me. He was free to choose what to wear but, of course, his famous red spectacles have become inextricably linked with his flamboyant personality. Drendel was born in 1953 in Ouyen, Victoria, and has lived and worked in Melbourne for 40 years. He trained at the Ballarat School of Mines and Melbourne State College. He has been a finalist in the Sulman Prize twice. 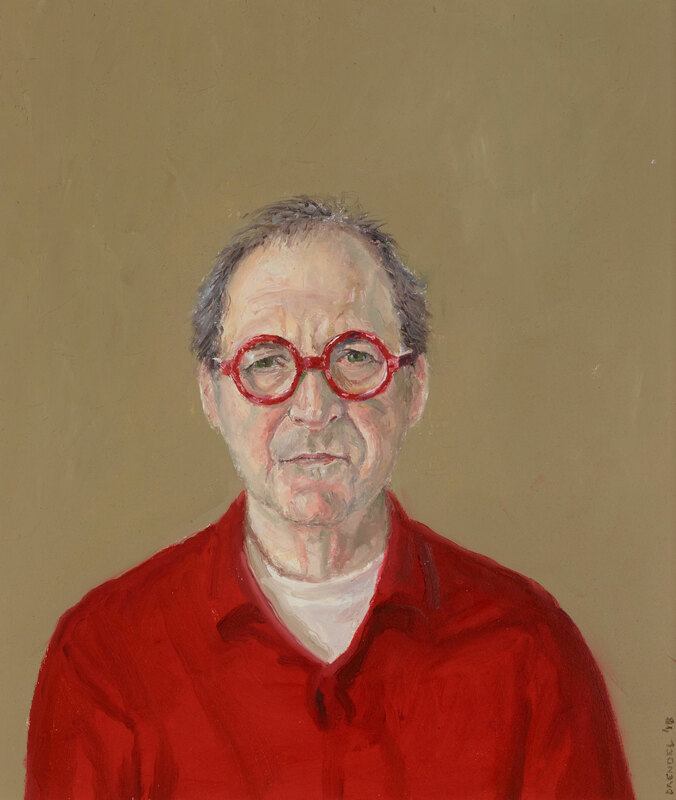 This is his first time in the Archibald Prize.